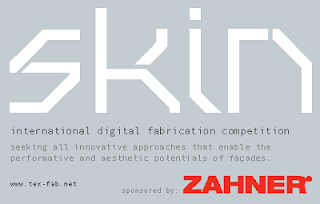 TEX-FAB is pleased to announce a new partnership between ZAHNER and the Digital Fabrication Alliance. ZAHNER will be joining forces to provide engineering, material and fabrication support for the skin competition. They will assist with full-scale prototyping after a competition winner is chosen in October. Registrations and submissions are due by June 30, 2013. Have you entered the competition yet?